PRESS RELEASE YLE and Digita 30.10.2015 at 8 am. Originally published at digita.fi. The Yle Areena service is now available also via Digita’s terrestrial TV network. During the trial phase, the service will include Yle TV1, YLE TV2, YLE Teema and Yle Fem; as well as Yle TV1 HD, Yle TV2 HD and HD Yle Fem on Yle’s HD channels. Yle Areena’s HbbTV service (Hybrid Broadcast Broadband TV) is a pilot project based on collaboration between Yle, Digita and Sofia Digital. “The provision of Yle Areena’s HbbTV service on Digita’s terrestrial network will be based on a one-year trial. We are also exploring the possibilities of extending the service. An open architecture that allows experiments of this kind lies at the heart of Yle’s network service development. At Yle, we believe that it is important to make our content available in new operating environments. The HbbTV trial, which is being carried out in collaboration with Digita and Sofia Digital, is a good example of how services can be provided in new, innovative ways,” says Yle’s Director of Media Ismo Silvo. 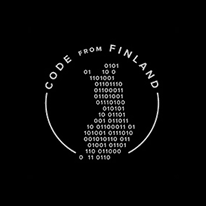 In May, Yle began a trial in which it made Yle Areena’s application programming interfaces, or APIs, open to developers and partners. These interfaces allow anyone to create applications. “We are moving our digital nation forward. We want to promote innovation and create better, new distribution channels and services for digital content,” Silvo summarises. “It’s great that we can also offer Yle Areena via Digita’s terrestrial TV network. Bringing online content to television broadcasts is a natural part of changes in the way people watch television. Recording set-top boxes and VOD libraries have already increased viewers’ choices, and viewing habits have become more versatile,” says Juha-Pekka Weckström, CEO of Digita. “The Internet will play an increasing role in Digita’s television strategy in the future. Making Yle Areena available on terrestrial television is a follow-up to the Ruutu.fi service begun in the summer, and will enrich the wide-screen viewer experience in the living room. These services combine the best aspects of traditional terrestrial-network television and the internet,” says Weckström. 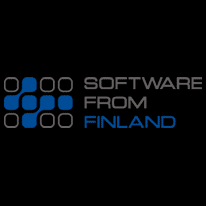 “It’s been great to see the trust that Finns have in Sofia Digital HbbTV’s expertise. We are grateful for this opportunity to develop Finland’s most popular catch-up TV service for use on HbbTV devices,” says Ari Pöyhtäri, CEO of Sofia Digital. Digita, Finnish TV companies and the Finnish Federation for Communications and Teleinformatics, FiCom, have agreed to begin testing new smart TV devices. Televisions with a hybrid feature are equipped with an Antenna Ready Smart HD seal. Use of Areena’s and other hybrid services requires a fairly new smart TV and a broadband connection. 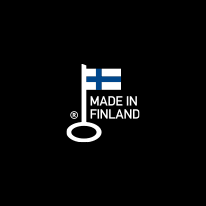 The key to viewing Areena’s content on a terrestrial TV is to use the Red button on the remote control you see on-screen when viewing Yle’s channels. This button only appears on televisions in which the Hybrid TV feature has been activated and which have a broadband connection. The HbbTV interface for Yle’s content does not yet enable the use of all Areena content. Instructions on activating the feature are available at: www.digita.fi/hybriditv. A list of receiver sets is available online at www.digita.fi/hybriditv. HbbTV is short for Hybrid Broadcast Broadband TV, combining TV broadcasts with a broadband connection, bringing online TV functionalities within easy reach of the customer. To begin with, the application will be available for those terrestrial TV viewers whose television receiver is equipped with an online connection and an activated HbbTV feature. HbbTV is a device-independent standard that enables the uniform provision of hybrid services via smart TV devices, regardless of the make of receiver.